A shift in behavior and day-to-day decisions is essential in reducing our individual carbon footprints. However, this shift often requires a change in mindset and awareness. Over the last 50 years, a lack of understanding and enthusiasm amongst the general population has been one of the biggest obstacles to sustainability. This is now changing, as messages on climate change from media and governments become increasingly clear. But these messages only have an impact if they transform our daily lives. This is why cities and regions around the world are educating citizens about their role in addressing sustainability issues. Sustainability education has value for people of all ages. Youth education can create change over the long-term, forming the next generation of environmentally and socially conscious leaders. Education can also be of great benefit to adults who simply need greater awareness to shift their behavior. Barbados, a Small Island Developing State (SIDS), is located in a tropical region at the eastern tip of a chain of islands known as the West Indies or the Lower Antilles. Although it depends heavily on imported oil, its location is ideal for solar power, and it has significant potential for sustainable development. A private enterprise called Octopus Three has decided to nurture this potential through an innovative education program. 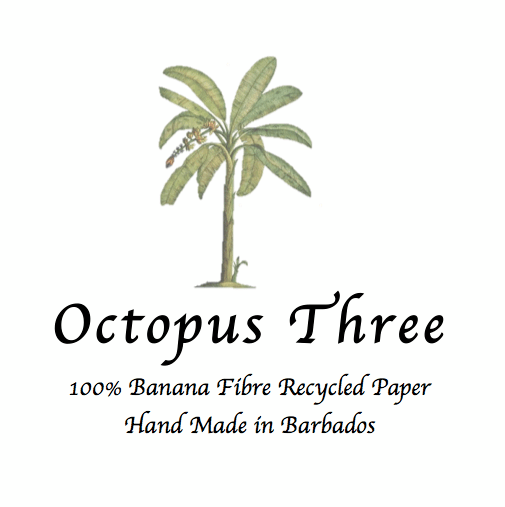 Octopus Three produces environmentally friendly Banana Fiber Recycled Paper (BFRP), with which it makes a range of gift and business items for local and regional sale. The manufacturing process uses shredded office paper, banana tree waste and collected rainwater. To educate children on the effects of climate change and on the need for sustainable practices, Octopus Three will help schools in the region to teach students how to make paper. The aim is to highlight the importance of sustainable industry, recycling and environment protection at an early age. The program will also touch on more general topics, such as alternative energy and sustainable development. Octopus Three will work with the Ministry of Education to tailor the program to the needs of the children. The Ministry of Education has approved the program and has given Octopus Three permission to implement it for children aged 8-11. The program is projected to run indefinitely, and has the potential to be exported to other schools in the region. An innovative city-business partnership, the Octopus Three Environment Education Program will inspire children, incorporating sustainability education into an exciting practical learning project. Rio de Janeiro, Brazil is taking a slightly different approach to educating its citizens. Through its Sustainable Schools project, the city is seeking to evaluate the sustainability performance of six public schools. Rather than teaching children directly about sustainability, the city is hoping that its schools can set an example, inspiring students by becoming models of integrated sustainability. The six schools will be evaluated in five areas: energy efficiency, waste management, water conservation, health and safety, and greenhouse gas inventories. Following the evaluation, the municipality will suggest measures to increase the sustainability of the schools. If the pilot project is successful, the city will look to expand the implementation to Rio’s wider school system which, with nearly 1,500 schools, is the largest in Latin America. The project therefore has the potential not just to inspire the next generation but to contribute significantly to greenhouse gas emissions reductions. Manchester, UK, has successfully pursued an initiative that brings education directly to adults via businesses, community groups and other organizations that bring adults together on a regular basis. Called the “Carbon Literacy Project”, it enables citizens to access one day’s worth of climate change education, covering climate science, context and opportunities for action. With the support of 30 partner organizations, the project has established a Carbon Literacy Standard, offering a consistent measurement of community education. The training aims to guide audiences to this standard, equipping them with the tools and knowledge they need to act on climate change within their communities. The project enables organizations, companies, groups and individuals take the standard and develop their own training solutions, so that the education is most relevant to their audiences. They have also devised a training-the-trainers approach, which broadens the reach of the initiative. A range of initiatives have developed in response to the city’s question. The Children Eco-Lifestyle Challenge, an activity that nurtures children to think critically about their environmental footprint, is being implemented at all elementary schools in the region. Similarly, the Eco-School District Project has been facilitating the creation of independent low-carbon school districts with the help of the region’s women’s associations and health councils, in order to give greater decision-making power to civilians while encouraging eco-friendly lifestyles. Furthermore, the city has designated the 16th of every month as “DO YOU KYOTO?” Day: a day when everyone is encouraged to participate in environmentally friendly activities such as “No My Car Day,” “Lights Down,” and “Kyoto Light Dinner.” “No My Car Day” promotes the use of public transport instead of personal vehicles. It also ensures larger pedestrian walkways, and works to fuel buses and garbage trucks with biodiesel made from tempura oil to lower harmful emissions. “Lights Down” and “Kyoto Light Dinner” respectively request that all outdoor lights be turned off and,encourage restaurant managers to use candles instead of electric light, serve to promote the principles of electricity conservation. Together, these activities help keep environmental concerns at the forefront of people’s minds, and ultimately to change their lifestyles. Some cities are setting examples for citizens to follow while others are reaching out through programs that educate or offer opportunities for engagement. The aim is to create a virtuous cycle, with educated citizens conveying to their friends and families the importance of sustainable development, creating momentum for change and an ever greater impact on urban life. Featured image courtesy Berit Watkin via Flickr.